Decades of relevant land use experience gives Mary Solik the edge when it comes to, what can be, a very complex area of law. Her entire career, both in private practice and for more than 19 years at a large national law firm, has been devoted to representing clients facing zoning, land use and real estate development issues. She frequently appears before zoning boards and other municipal and county agencies and has obtained positive outcomes through litigation in state and federal courts. 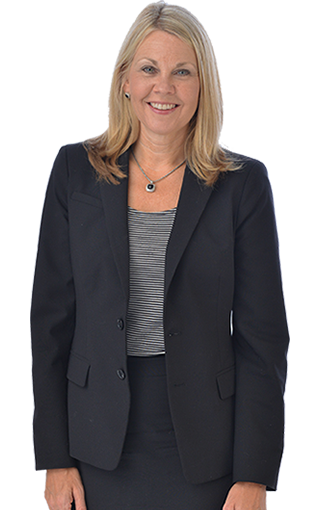 During the course of her 23-year legal career, Mary has represented clients ranging from large corporations to local developers and individual homeowners; including projects involving landfills, juvenile centers, religious facilities and wireless towers. In addition, she represents both land owners and condemning authorities in eminent domain proceedings, including quiet title actions, annexation disputes, appellate litigation of the denial of land use approvals, and ad valorem property tax assessment challenges. As a veteran attorney, she brings analytical skills and wide ranging knowledge of municipal, state and federal laws governing land use and works with a network of highly qualified land planners, surveyors, engineers and property appraisers. Mary is AV rated by Martindale-Hubbell and the recipient of numerous awards, including being named a Best Lawyer in America for multiple years. She is a graduate of the University of Iowa, for both her B.A. and J.D. Admitted to bar, 1990, Florida; 1990, Iowa; 2011, Georgia. University of Iowa, B.A., Political Science, 1986; J.D., 1990; Law Review: Iowa Law Review, Managing Editor. Best Lawyers in America, 2007, 2008, 2009; Orlando Magazine’s Best Lawyers list, since 2007. The Florida Bar, Iowa State Bar Association, State Bar of Georgia, Orange County Bar Association.